As a first-generation college student who's been working since middle school, earning a full-ride to an Ivy League school is a great feeling for 18-year-old Abel Berhan. Here's how he did it. There aren’t any simple tricks to earn $400,000 in scholarships and gain admission to Harvard. But for the Evergreen High School senior who managed to do it, three things were necessary: church, sleep and an open mind. 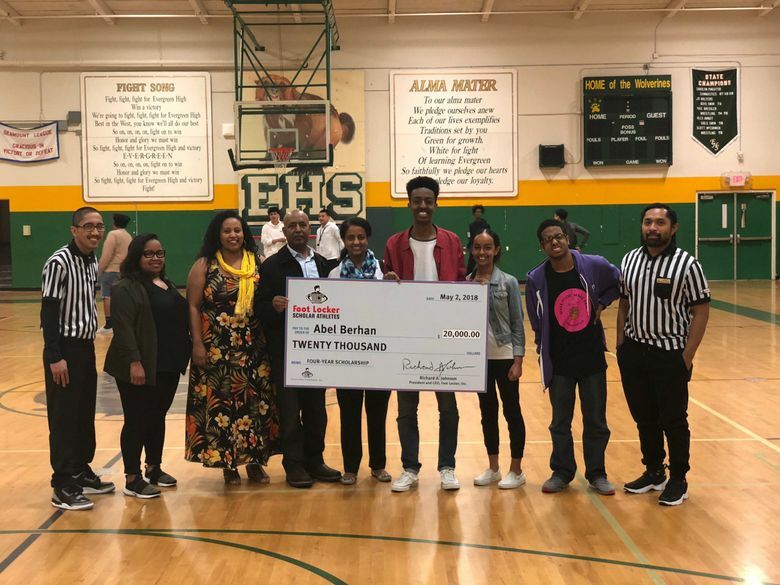 Abel Berhan, 18, caught the attention of local TV stations in April when Highline Public Schools shared a video of him and his friends reacting to his Harvard acceptance letter. By that time, however, he’d already developed a reputation for excellence and time management skills that most working adults would envy. 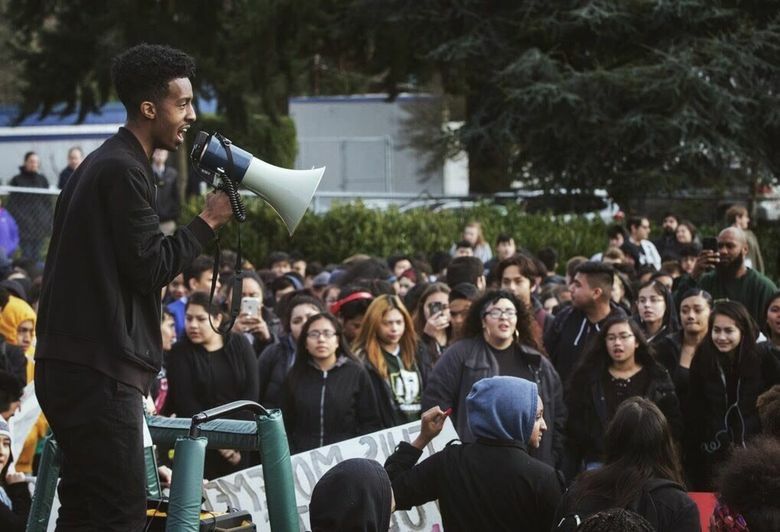 A slam poet, social justice advocate and athlete (cross-country, track and soccer), Berhan won his seat as student body president at Evergreen with a corny-but-true campaign slogan: “Abel Berhan: he’s a man with a plan.” He’s holding down two jobs at the moment — as a soccer referee and a backstage crew member at a Burien performing arts — and earlier this year, he led his school’s March for Our Lives walkout. But during the college admissions process, he faced obstacles many children of immigrants and first-generation students can relate to. 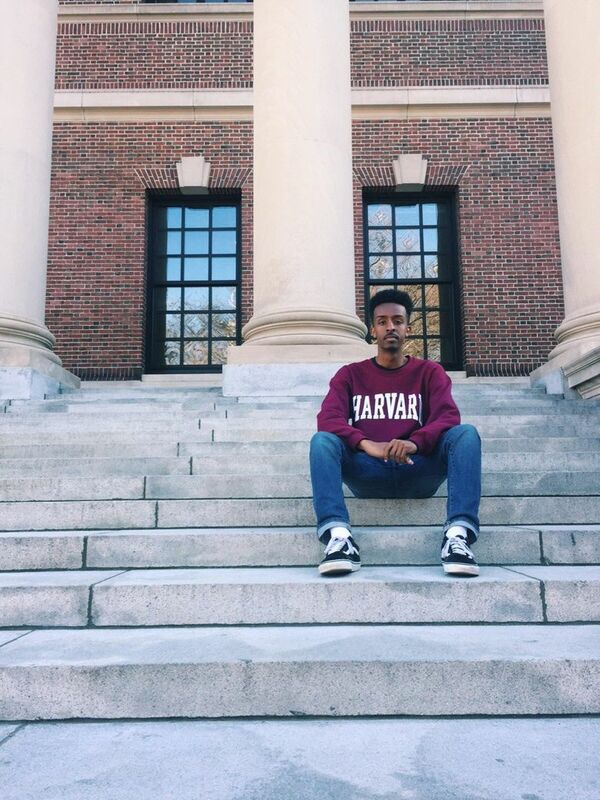 When Education Lab caught up with Berhan, who wrote a Student Voices column last year, he shared his journey and advice for other students wanting to follow in his footsteps. How do you balance all your responsibilities and avoid burning out? My faith is a huge part of my life. I go to church every Sunday. When you’re really stressed and there are a lot of things going on in your life, you have to carve out time in your life to do the things that you love. And make sure you spend time with your family, and with your close friends. There are also smaller things that I do. When I’m doing homework, I like to keep my phone away, and minimize tabs on my computer. Another small thing is that I have a calendar, and I keep a track of all things like meetings or important events. That’s something I started at the end of junior year and it’s helped me significantly. Keeping everything in your head makes you more stressed, so it’s important to get those things out of your head and it keeps you accountable. What were some of the barriers you faced during the college admissions process? The first thing is just a lack of guidance … The Making Connections program at the University of Washington helps students when their parents can’t. They’re feeding us information that we don’t have access to. Another obstacle I faced is the standardized test prep. The SAT and any other standardized test is not about how smart you are — it’s about how prepared you are. And for students who have enough wealth, they’re able to pay for extremely expensive test prep classes. But unfortunately when I received my PSAT scores, I saw they were way off the averages for elite schools. I had to use Khan Academy. Also the Making Connections program connected me with SAT prep classes. What do you suggest as a first step for students who might not be receiving important information about free college preparation programs? One advantage I have is that I have an older sister who was the first person to attend college in my family. But starting in middle school, I would make sure my counselor knew who I was, and I made sure they knew all of my interests … That’s what you can do to set yourself up. They’re there to help you, and if they know you and your interests, it’s even more helpful. Really build a relationship with your counselor, and if your school has a career or college center, they also advertise internships or after-school programs. Also, go on Google and search “free summer high school programs” and opportunities will come up. A lot of opportunities I heard about were through word-of-mouth, and the first thing I would say is to keep your mind open and dive into something even if it’s not something you want to study. Once you’re in these different spaces, they help you connect with other opportunities. I got involved with Making Connections in eighth grade, and it’s helped me connect to so many different opportunities. What advice would you give on college essays? Give yourself a lot of time on it. My first college application was due in October last year, and I started writing my personal statement in June. I had over 15 drafts. What are some mistakes you made that others can learn from? What about the worst advice you received? If you don’t get enough sleep, you’re not going to be able to be productive in things you love. I learned this when I was an athlete. If I wasn’t getting my 7 hours of sleep, I wasn’t going to do well on the track. My junior year I got injured in track and it impacted my chance to compete at the state level. That wasn’t completely because of my lack of sleep, but it was a factor. … In terms of bad advice, everyone tells you get super involved and join these different clubs, but I think it’s important to get involved in things you’re actually passionate about — especially if it involves things like art. I ended up sending colleges an art portfolio of my spoken poetry. But don’t get involved in something to just to put it on your résumé. My parents are hard workers. That is truly an understatement. My mom is a CNA (certified nurse assistant) and she works a graveyard shift. She leaves the house at 9:30 p.m. and comes back home at the time I’m getting ready to leave for school. My dad also works long hours as a truck driver … They really grind. They do everything that they can do to create opportunities for me and the rest of my siblings. When I’m facing an AP calculus exam and or I have to take the SAT, I remind myself of the opportunity I have, and how much my parents are sacrificing for me. I try to look at things in a positive manner.